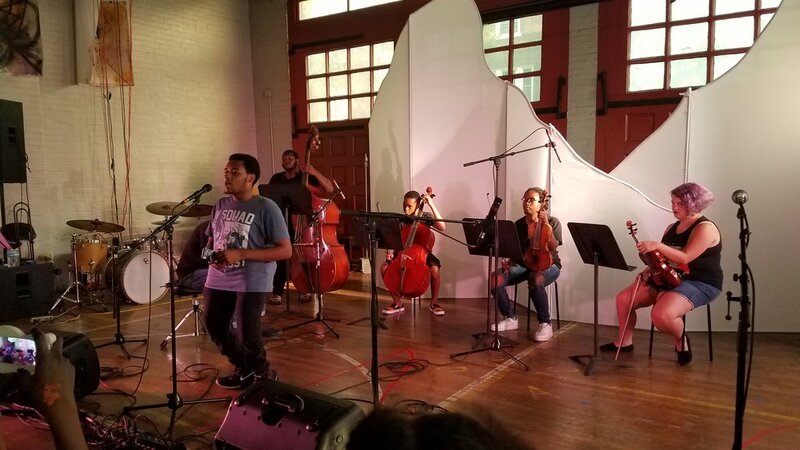 In partnership with Carnegie Hall, MYCincinnati is launching its first year long Creative Action Residency during the 2018-19 school year. The CAR will engage one national artist to work with MYCincinnati’s advanced ensembles to creatively and collaboratively engage with questions of democracy, community action, and the power of music to advance social justice. The CAR will inspire a series of actions throughout the year, culminating in a presentation and/or performance at the 2019 Price Hill Creative Community Festival (July 19-20). The inaugural CAR artist is Shara Nova, an interdisciplinary artist whose work connects disparate traditions and meaningfully engages communities. Ms. Nova, a trained opera singer, is leader of the art-pop band My Brightest Diamond and has released may critically acclaimed albums. She has performed, collaborated, and/or recorded with Brooklyn Youth Chorus, David Lang, Sufjan Stevens, Nico Muhly, The Decemberists, yMusic, Bryce & Aaron Dessner, Sarah Kirkland Snider, and Laurie Anderson, among others.